Ninja Class participation takes a high demand of strength, body control, athleticism, and mental toughness. Starting at a young age, youth are developing all of these traits with general play by climbing on and off of objects and pulling themselves onto others. However, when they start to grow and no longer need to climb onto things they lose the strength development of pulling their body weight. Ninja training helps increase strength development while improving their body control. Due to growth change, older youth have more difficultly performing actions that are pushing and pulling their body weight. This is from the increase of body weight with the increase of muscle and skeletal structure. There are ways to continue to improve the strength growth seen with younger stages of development. Resistance training is one of the most effective methods to continually increase strength and body control for youth. Due to the increase in body size, additional resistance exercises are needed allow for the body to develop at higher levels. There are a variety of methods to improve strength development for youth. 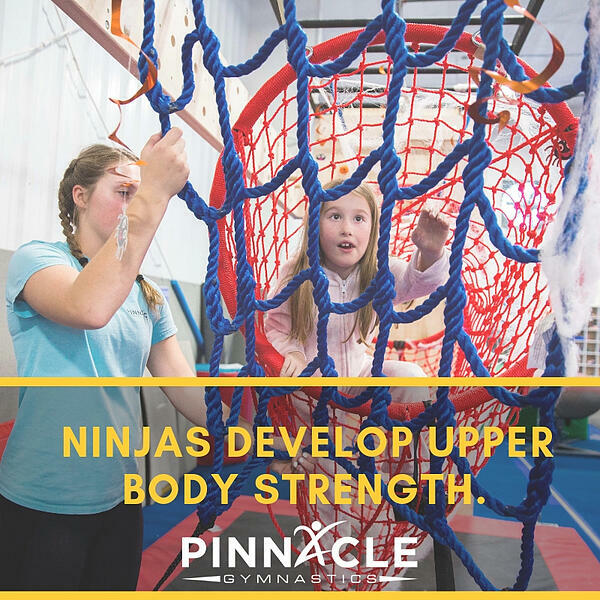 With the high strength demand of Ninja, resistance training can have a huge impact on skill development. 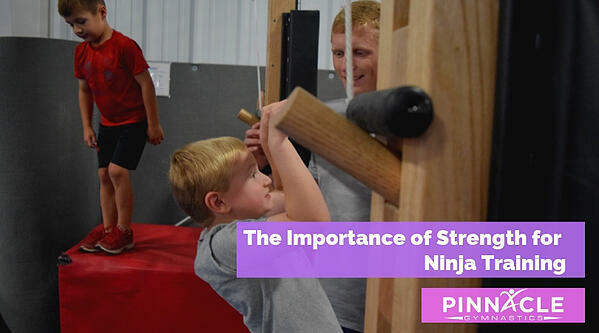 By improving strength levels, many ninja skills will develop much faster and can perform more difficult skills. A combination of ninja training with resistance training can develop high levels of strength, athleticism, agility, and neural control.